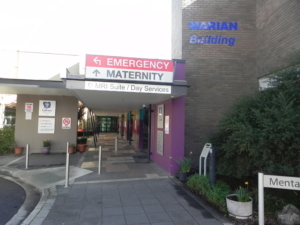 The Calvary Public Hospital Maternity Unit is committed to providing the women of Canberra and surrounding region with excellent care, highly skilled staff and the best available facilities. By offering women the options of Midwife Led Maternity Care as well as more traditional maternity services, Calvary Hospital strives to provide a positive experience throughout pregnancy, labour and childbirth for women and their babies. General visiting hours are between 3:00pm-5:00pm and 7:00pm-8:00pm. Partners/support people and siblings are welcome anytime from 8:00am – 9:00pm except during mother’s rest period between 12:30pm – 3:00pm. Calvary imaging offers bulk-billed morphology scans to women who are booked into to birth at the hospital. Pathology support is also onsite and offers bulk-billed antenatal pathology including GTT. Calvary Public Hospital offers a full range of childbirth education classes including sessions on early pregnancy, preparation for labour and birth, breastfeeding, early parenting and relationship changes. Calvary also offers group antenatal classes which are facilitated by a trained midwife, offering the opportunity to connect with other women while providing education and care.